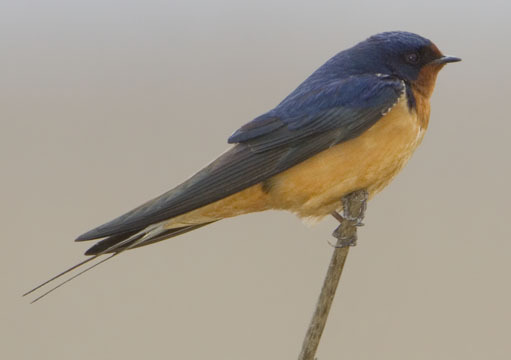 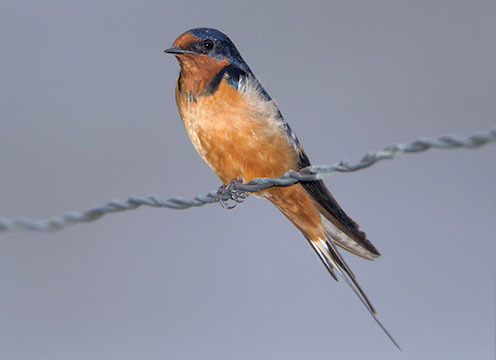 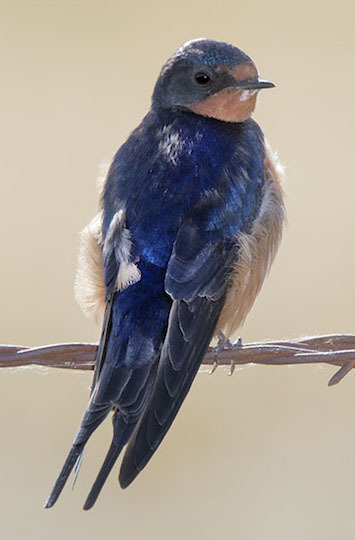 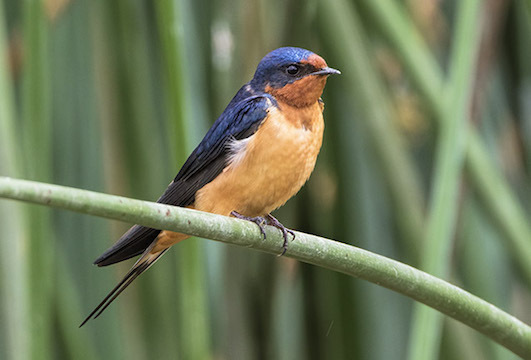 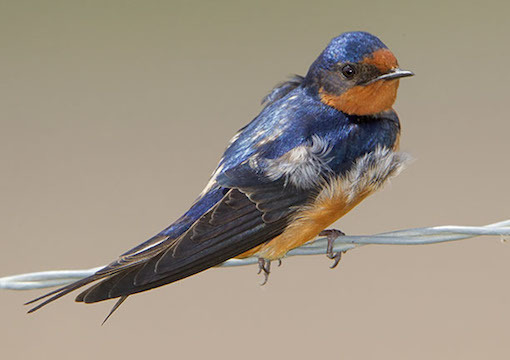 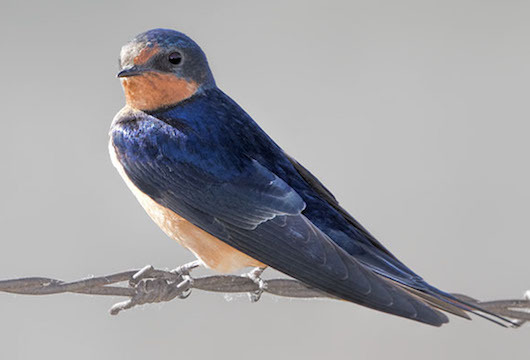 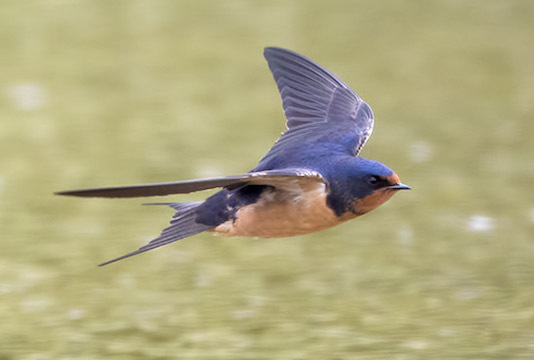 Barn swallows are found throughout much of the world, and the ones in North America are among the most colorful, with their bright rufous underparts. 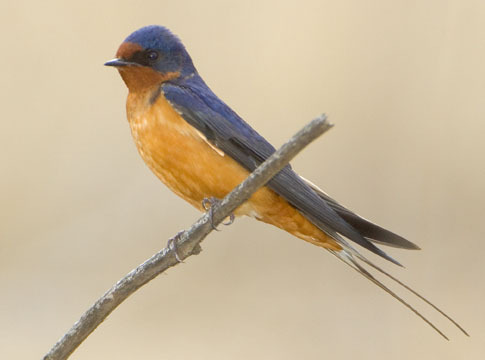 Males are slightly brighter and longer-tailed than females, and they use these traits to try to obtain multiple matings. 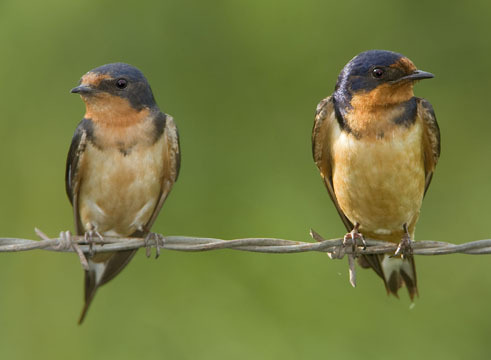 They get their name from their fondness for building their mud nests in old (and sometimes new) buildings. 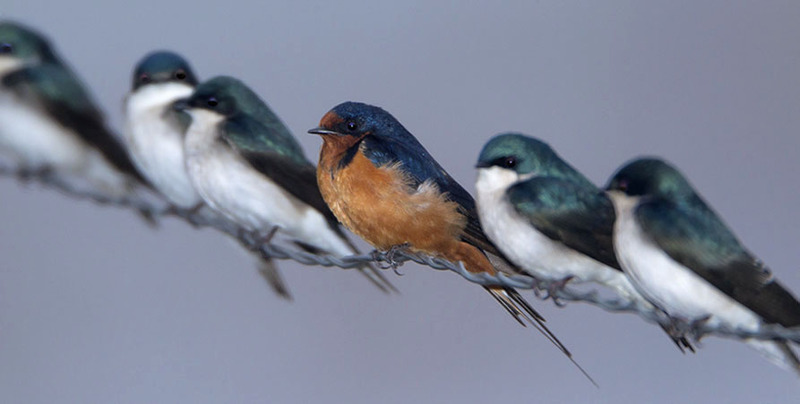 These birds were photographed near Riverside, California and Manhattan, Kansas (in one photo the barn swallow is surrounded by tree swallows.